A Gentoo Penguin walks along the seashore at Stromness Harbour. 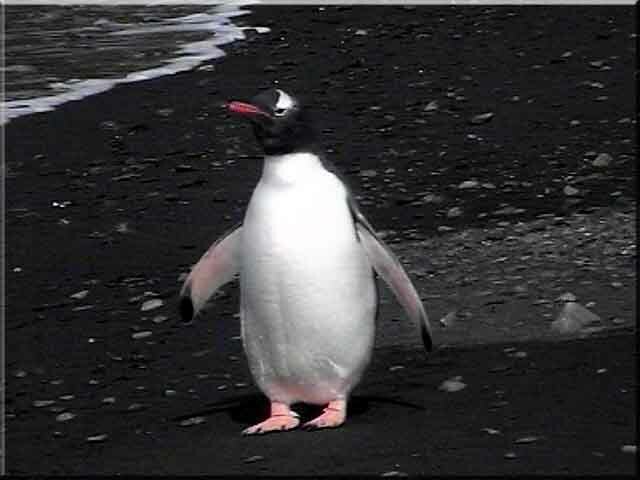 The sand on the beach at Stromness Harbour is a light grey when dry, but very dark to almost black when wet, as seen in the above picture and the ones on the Gentoo page. 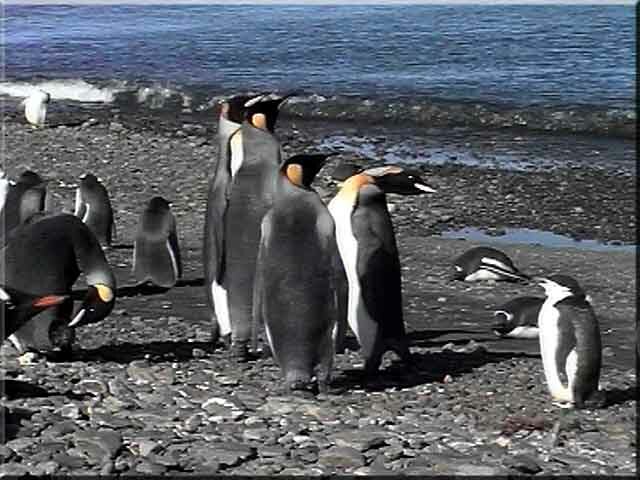 The second species seen most often is the King Penguin which shares the beach with the Gentoo and the rarer Chinstrap Penguins. 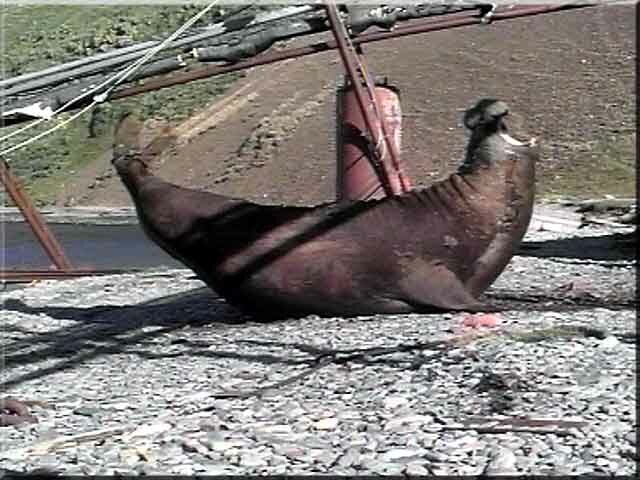 Stromness Harbour also boasts a very strong Elephant Seal population as well as Fur Seals. 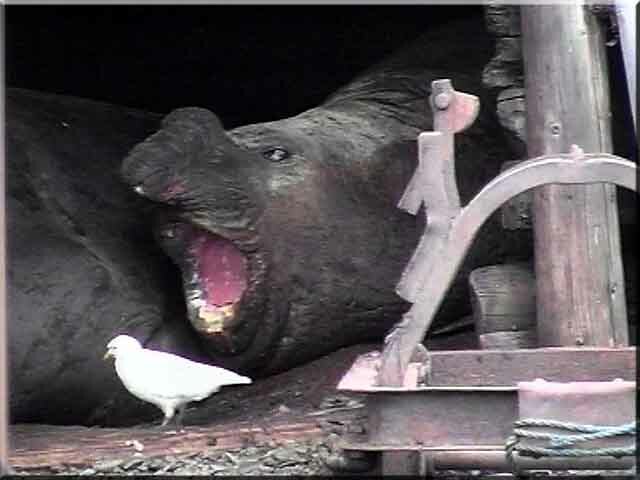 Of course where would we be without the Snowy Sheathbill to annoy the Elephant Seals? 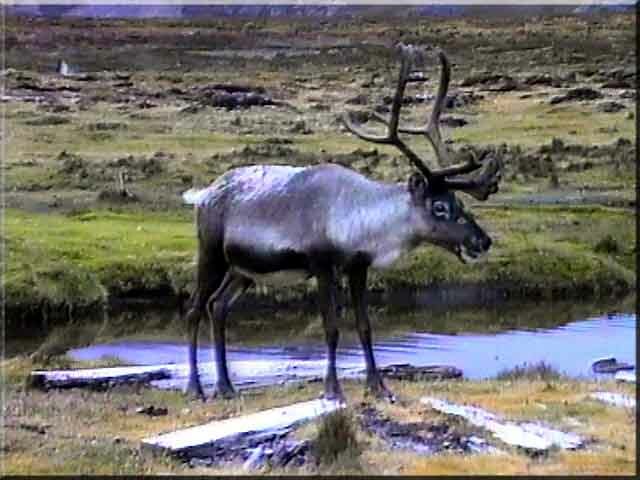 There are some nice specimens of Antarctic Skua and at the time, the Eurasian Reindeer. 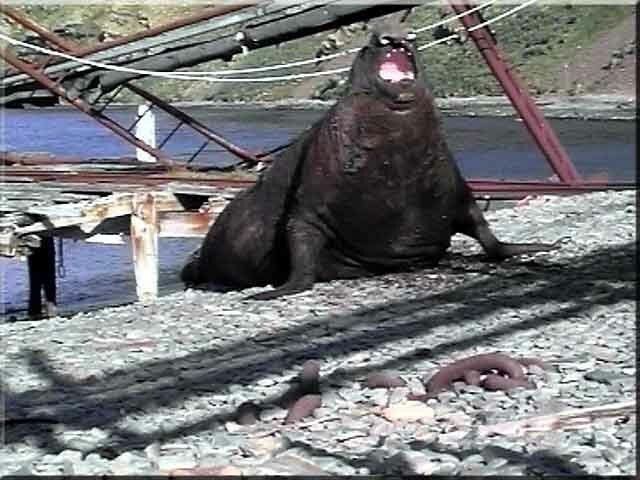 A Bull Elephant Seal roars his way up the beach at Stromness Harbour. 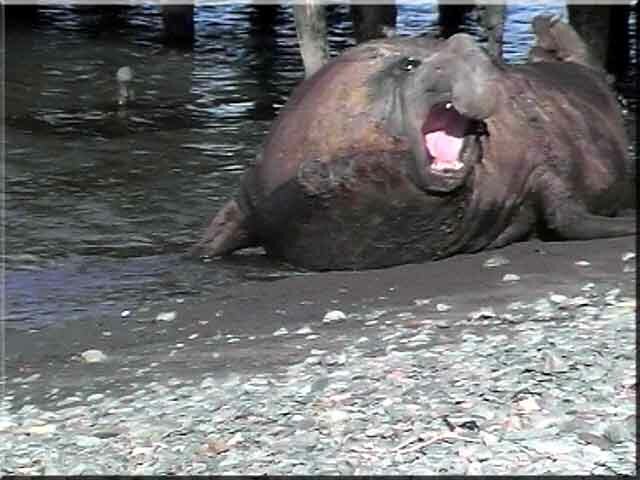 A large bull Elephant Seal lets the world know that he has arrived. This chap has taken umbrage at another bull further up the beach. Elephant Seal bulls taking a nap in one of the disused buildings at the far end of Stromness Harbour. This bull was trying to sleep, but every time the bull closed his eyes the Sheathbill ran in and pecked at the crusted blood on his nose. His attack was relentless. The bull would roar at him and the Sheathbill would saunter away quite nonchalant. The bull would regain his composure and his eyes would droop in tiredness again. 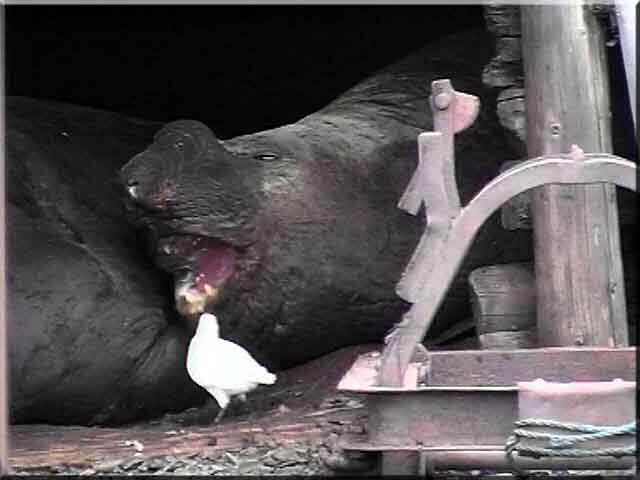 As soon as the eyelid was closed the Sheathbill resumed his attack! 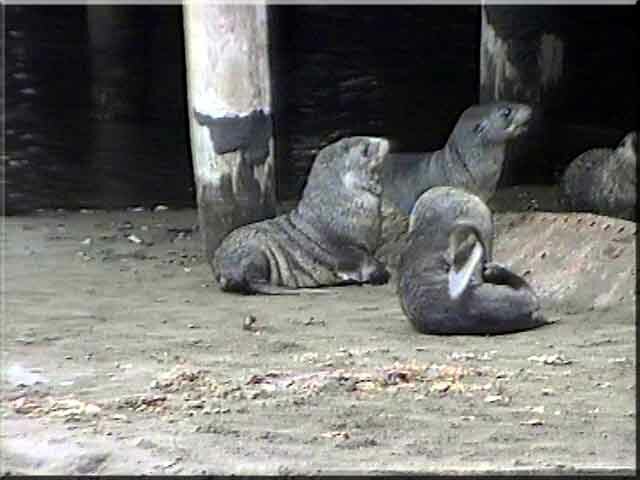 A family of Fur Seals play happily under the remains of the wooden jetty at Stromness Harbour. 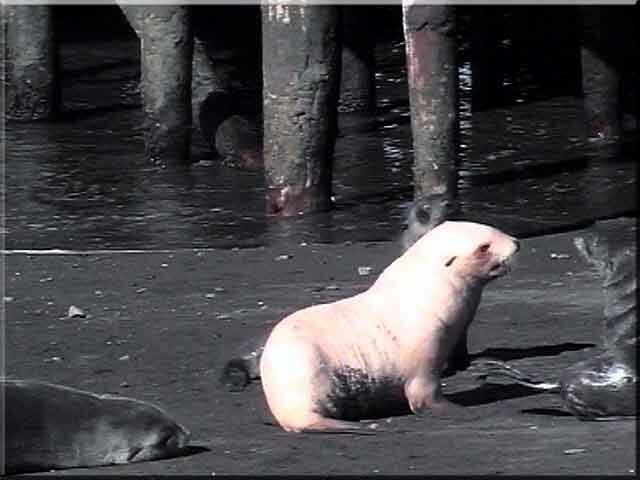 The first and only albino Fur Seal that I saw in eleven years, plays beside the jetty at Stromness Harbour. 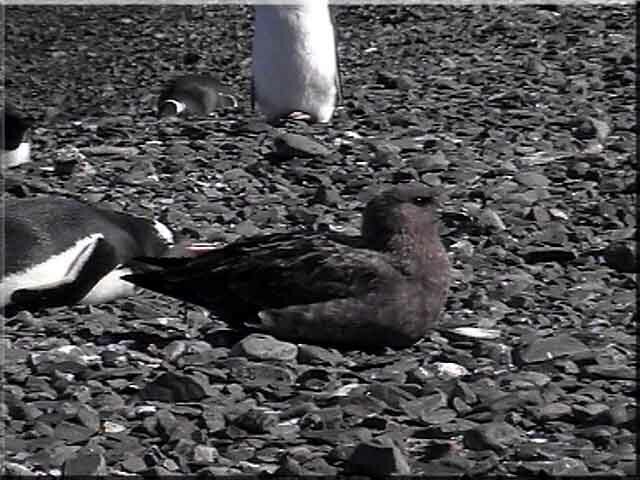 An Antarctic or Brown Skua shares the beach with some Gentoo Penguins. Three rather regal looking King Penguins on the beach at Stromness Harbour. A Gentoo takes a rest in the foreground, while others mill about in the background. 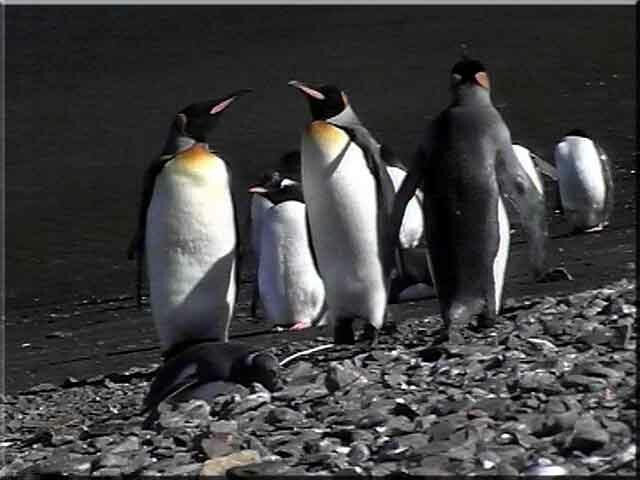 Another group of King Penguins and Gentoos with a solitary Chinstrap on the right of the picture. 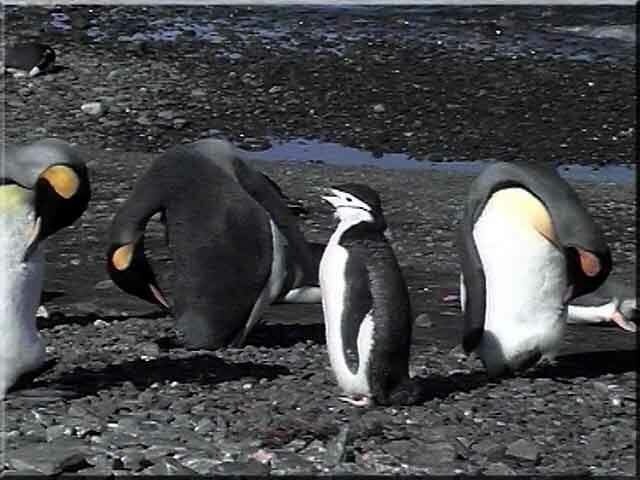 Another Chinstrap Penguin watches as the King Penguins preen themselves. 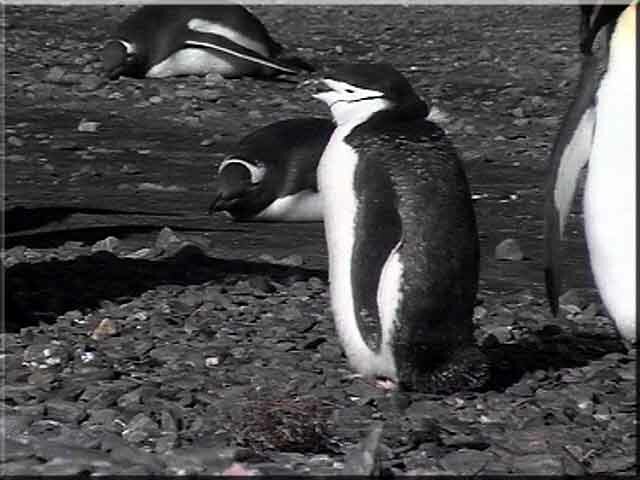 A Chinstrap Penguin stands beside a King Penguin, with some Gentoos in the background. 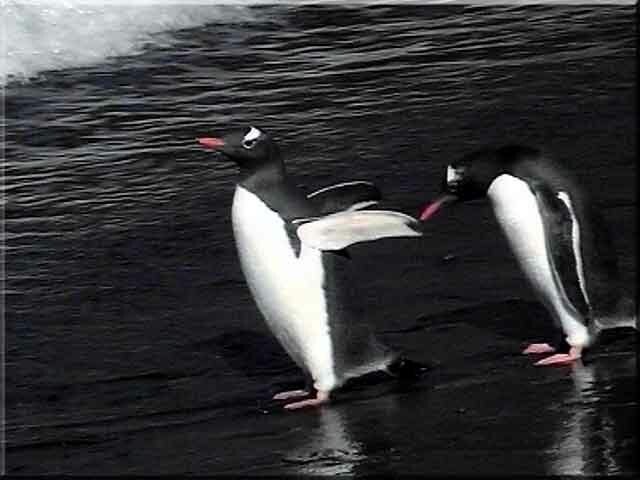 Two Gentoo Penguins walking down the beach to go for a swim. 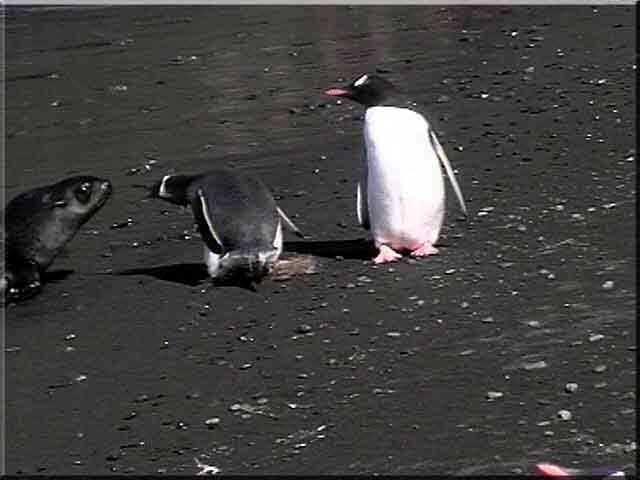 A young Fur Seal got a bit too close to this two and was reprimanded by the Penguin on the left. There was a good sized herd of Eurasian Reindeer at Stromness Harbour, and beautiful animals they were too. They often came down to graze on the foreshore. Alas there are no more of these magnificent animals. This chap has a good spread of antlers. I spoke to a group of Swedish scientists at Husvik who were studying the reindeer. 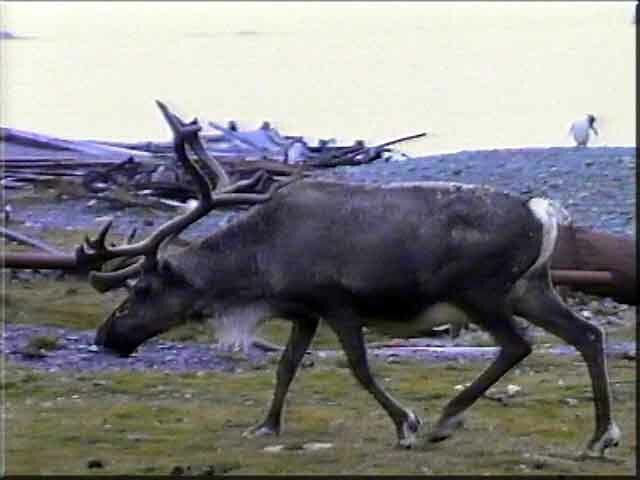 They said that the reindeer on South Georgia were 50% bigger than those in Scandinavia, and thought that the reason may have been their diet.